Children can be very stubborn about eating vegetables. I don’t have children myself, only cats, but I do see many children in my practice. Parents often ask me for tips to get their kids eating less junk food and more vegetables. In this regard, I have been studying the scientific literature and talking to my clients with kids to reveal the secrets of how to children to eat veggies. The great news is it is not mission impossible. The bad news is that it is not easy, but if you are willing to be persistent in your efforts, you should succeed in the end. In this article, you will learn about 10 different strategies that you can try to get your kids to eat veggies. 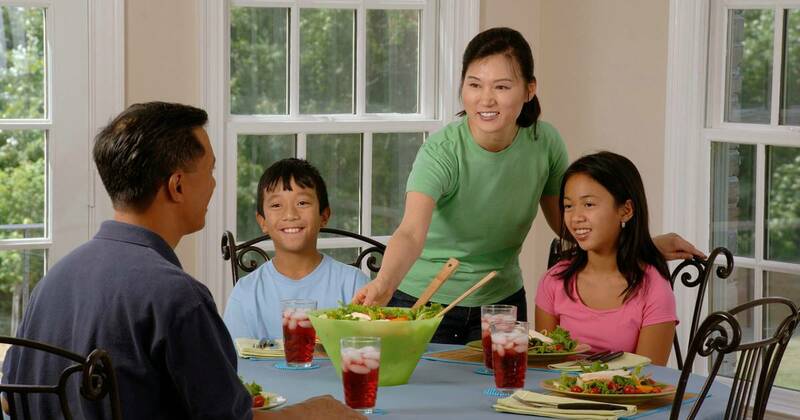 Studies show by far the best predictor of a child’s eating behaviour is the eating patterns of her parents. If vegetables are not a stable in your diet, then how do you expect your kids to eat them. A child will eat what they know, and will not ask for something else if they do not appreciate it is an option. Children like to use their imagination and play make-believe. Carrots can be unappealing to a child wishing for burgers and fries. But if they can imagine a rabbit who needs to eat five carrots to outrun a fox, suddenly those carrots are a lot more attractive. Another interesting idea is to give foods fun names. In a 2012 study, researchers tested the effect of re-labelling familiar foods. Associating wholesome food with fun stuff the child already loves and transforming it into a game is an excellent way to get them to eat more veggies. 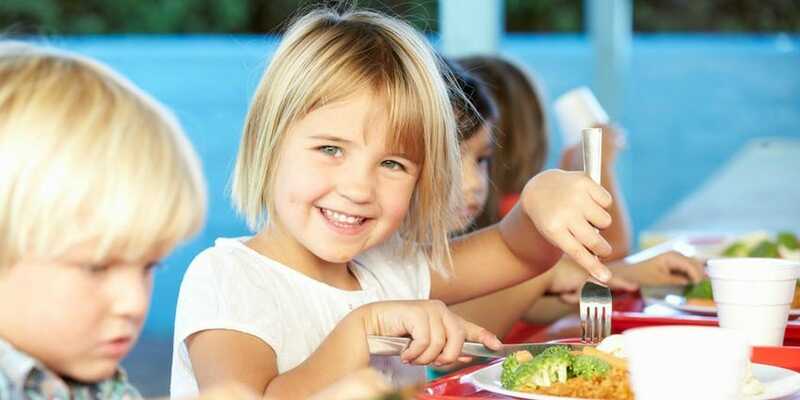 Engaging kids in the kitchen at home may make them more likely to choose healthy foods, according to one research study. Taking your children with you to the grocery store and letting them choose one or two veggies to cook for supper can make them far more likely to eat it later. Better yet, start a vegetable garden in your backyard and show them how to grow and harvest their own. Getting them to clean parsnips and peel onions will give them a sense of pride and will make mealtime more appealing. We know that kids are more likely accept foods after regular exposure. One study found a correlation between the number of different fruits and vegetables that parents bring home and their preschoolers’ willingness to eat fruits and vegetables. Another study found that kids grow their desire for and consumption of vegetables after they are invited to taste them every day for two weeks. One of the biggest myths among parents is that pushing their child to eat food they do not like will get her to alter their behaviour. On the contrary, enforcement will create an unsatisfactory meal experience, and the child will associate food with the negative feelings. Negative food encounters have the opposite of the aspired effect and increase picky eating tendencies. For instance, one study found that kids who were made to eat fewer fruits and vegetables and more unhealthful snacks. Creating positive food experiences through giving non-food rewards can reduce picky eating bents. Research has shown that rewarding a child for attempting one bite of a rebuffed food with stickers may make it easier for them to try the food. Kids don’t see the world as adults do. Consequently, they have very different values. Children do not care about health. Most kids think they’re invincible. Therefore, explaining that a vegetable is healthy, is unlikely to motivate them. On the other hand, most kids feel checked by their size and yearn to be bigger and stronger. One thing you have working in your favour is that children like colourful foods. You can achieve this by putting vegetables of different colours on their plates. While adults tend to like flavours mixed, kids frequently prefer them separate. Another motivation to eat veggies that children enjoy is when you place their food into patterns on their plate. Unlike adults, who favour foods near each other in the centre of their plate, kids like their food separated into piles around the edge. If you shape food into a smiling face, kids will like it even more. This strategy is another way to make food fun. If your child resistant to trying new foods, you can try tricking them by pairing new foods with the flavours they love. Researchers tested this idea by offering kids with a choice of two kinds of chips one familiar and one new. The kids who eat the familiar dip were more likely to try tasting the new chips. If you are feeling overwhelmed by your efforts to get your child to eat veggies, I would suggest you find a good health coach to help you. I use a health coach in my practice when clients, both kids and adults, need help in changing their diet and lifestyle habits. Now I would like to hear from you. Let us know in the comments below. Children – Why so many allergies? The number of allergies is on the rise, but why are we seeing more people, and especially children with allergies? Allergies and auto-immune disorders occur when our immune system mistakenly identifies an otherwise harmless substance as a threat. It then attacks these inappropriate targets. In the case of an allergy this may be a food, dust, mould, pollen etc or in the case of an autoimmune disease the body is attacked. So why are there more food allergies? The medical profession does not really have any definitive answers as to why the number of allergies is on the rise. There are however several theories. The Hygiene Hypothesis speculates that we are not exposed to enough pathogens, parasites and other microbes giving our immune systems too little to do. This hypothesis has been around for several decades. Digestive Health and Leaky Gut – around 80% of our immune system is in our gut, if the gut is not healthy, then we will not be healthy. Lifestyle factors such as warmer, drier homes and a more sedentary lifestyle. Population studies have found that there is a much lower incidence of allergies, asthma and anaphylaxis in developing countries. It is also known that children who grow up on a farm, around animals and spending a lot of time outside have fewer allergies. The theory is that these children are exposed to parasites and other microbes, which is much more in line with the way that we evolved. During evolution our bodies adapted to the constant presence of these parasites and other microbes. Now that they have been removed from our environment we have a very active immune system that is effectively itching for a fight. In other words, our living conditions and food are so clean they don’t offer our immune systems enough to do, so our systems overreact to harmless allergens instead. Nick Furnham at the London School of Hygiene & Tropical Medicine and his team have also found similarities between the proteins in parasitic worms and those in pollens. He suggests that our parasite defenses will naturally attack the pollen leading to seasonal allergies. Also exposure to animals including pets will have benefits for their immune system and your child’s mental well-being. It is estimated that 80% of our immune system is found in the gut. When damage is caused to our gut lining by food allergies and intolerances, reactions to antibiotics or pesticides, or illnesses such as gastro-enteritis it allows bacteria, metabolic wastes and undigested proteins to enter our blood stream. These foreign substances in the blood stimulate the immune system into attacking and trigger inflammation, allergies and auto-immune diseases. Allergies are also more prevalent in C-section children. Baby’s digestive tracts are sterile. During a natural birth they will be exposed to the flora found in their mother’s gut. Studies are suggesting that these babies should deliberately be exposed to a swab from their mother in order to populate their gut with the necessary ‘good’ bacteria and other microbes. “Healing and sealing” your gut has been shown to help alleviate allergy symptoms. The key lies in altering your diet to eliminate any offending foods and introducing healthier choices that will support a proper balance of bacteria in your gut. It is becoming more generally understood that processed foods, “junk food”, GMO products and synthetic ingredients in foods can decimate the beneficial bacteria in your gut, thereby having a negative effect on your immune system. A registered nutritionist can give you individualised advice on which foods to eat. Antibiotics should be avoided unless absolutely necessary. Following any course of antibiotics it is essential to take a good quality, preferably soil based, probiotic to repopulate the gut with ‘friendly’ bacteria. Human beings are designed to be active for a greater portion of their day. In our modern world we too often spend many hours sitting down. Our lack of fitness impacts many systems in the body. We also evolved to be outside in all weathers and temperatures. We live indoors in clean, warm and dry conditions. We are not exposed to challenging conditions and temperature changes that strengthen our bodies. One study in the UK found that people who took a swim in cold water (sea, river or a lake) daily or several times a week, actually had stronger immune systems, were sick less often and had fewer allergies. The answer is easy – move more and get out into the fresh air…. If only it were that simple! Take your child outdoors throughout the year, they will come to no harm in the cold or heat as long as they are properly dressed and protected. Make sure that they get plenty of exercise and active time – you will benefit too if you play with them. As an adult, try to make time to be outdoors most days, and plan a time to exercise 5 days a week if you can, even if it is a 30min walk. Find an activity that you enjoy, whether playing ball with your child, building a snow man, going to the gym, a team sport or a regular walking group. Beautiful plants and pots may be beneficial for your kids, too, only make sure the fertilizers are organic, e.g. Suppleplant Orchid Love. By putting your exercise time into your schedule you will find it easier to achieve. The benefits will be worth the effort! Food sensitivities are on the rise in Canada and most worryingly among children. In my practice, the most common food sensitivities I see are to wheat, dairy, corn, eggs and soy. If I were to ask you what symptoms you would expect to see from a food sensitivity, I would suspect you to say digestive. Beware, this is not always the case. In this blog, I talk about the hidden symptoms of food sensitivities in children, what causes them and how best to identify them. Peter is ten years old and has been brought to see me by his mum and dad complaining of lower back pain. They found me by looking for a local osteopath on Google and had been recommended osteopathy by a family friend. All osteopaths are trained to look for and treat physical causes of pain. Physical causes are usually the result of some trauma such as a fall. Peter’s pain had begun two months previously without any trauma. He noticed the pain only when he was playing hockey and running. When physical pain, of any kind, develops for no apparent reason it makes me very suspicious and leads me to suspect that there may be an underlying factor at play. Unexplained muscle and joint pains sometimes diagnosed as “growing pains”. Peter had some these other symptoms, which confirmed my suspicions and prompted me to suggest to his parents that we investigate whether he does have any food sensitivities. A food elimination is the scientific “gold standard” method for determining food sensitivities. Foods are avoided for 30 days. If symptoms improve then each food is reintroduced, one at a time, to determine which are the triggers. Blood food sensitivity testing in Canada measures IgG food antibodies to different foods. The problem with this testing is that there are two other antibodies, IgA and IgM, that your bodies immune system might produce. More comprehensive testing is available through Cyrex Labs in the US that measures both IgA and IgG antibodies. Muscle testing or applied kinesiology measures the response of your body’s nervous system to a substance. Muscle testing has not been validated by any scientific research however I have found a very reliable way of screening in clinical practice. I always give my clients the option of what method of testing they would like me to use. For Peter, we used only muscle testing and identified dairy as a problem. After three weeks of avoiding dairy, Peter returned my office and reported that he could now play hockey and run pain-free, and many of his other symptoms had lessened.